In partnership with the Ontario Association of Social Workers, PROLINK advocated for your professional and personal insurance needs with a network of insurers. Now all OASW members can benefit from superior protection at unparalleled rates! No matter where you're coming from, or how complex your needs, we can guide you to the right coverage, from the right insurer, at the right price. Important Note: For 2019, we have moved your online application to a brand new platform. Please contact PROLINK to apply or renew, as you can no longer use the old portal. Should you need access to past documents, CLICK HERE to login. Congratulations to Marg S., Dana K., Raymond C., Justin S., Brittany V., and Doreen D.! “I was paying $1629.72/year for house insurance and $4170.48/year for our two vehicles and three drivers—one being my 19-year-old kid. That came to a total of $5800.20 per year for home and auto insurance. With PROLINK, my home insurance is now $1212.84 and my car insurance is $2330, for a total of $3532.84. That’s a savings of $2267.36 annually!!!! My current agent even told me not to be a fool and take the group rate, as they could not match PROLINK’s rates. We still have 100% same coverage. So, YES, we are happy!! Plus, PROLINK waives the fee for social workers if you prefer to pay your insurance on a monthly basis. I urge all members to take the chance and check PROLINK out. The savings could be substantial even on one car”. “I had been hesitant, even reluctant, to switch insurers from my current long-standing insurance company. However after reaching out to PROLINK, and connecting with Kelvin Santos who is the OASW representative, I felt both optimistic and reassured. Kelvin is an exceptional communicator, and he is able to explain the ‘in’s and out’s’ of the industry and simplify the process. In addition, moving our insurance to PROLINK, as our new broker, has resulted in a surprising amount of savings for our family’s insurance needs (home & auto combined). For me, making this simple and achievable was a great help, and I am always grateful to OASW for securing great resources for its membership”. "I like the "package of insurance services" that have been bundled together in the plan that I chose. I feel that the price is fair for the product that is provided. It is very easy to continue to renew every year following receipt of the Reminder E-Mail Message. I find the website very easy to navigate & can complete my renewal in a very time efficient fashion." "I bought insurance from PROLINK because the minimal fee for protection against unknowns gives me peace of mind. They had a quick and easy renewal process with affordable protection that can't be beat! The minimal annual fee for peace of mind is priceless!" "I continue to buy insurance from PROLINK due to several years of excellent coverage, cost, and service. Thanks to Celina De Bruge for her recent support in completing my application!" "PROLINK offered many other types of insurance for far less than other insurance that I had in the past. Plus, they are friendly and are willing to help you with providing insurance for you at a better price!" "I chose to work with PROLINK because it was super convenient to register and renew. They have very helpful staff to answer any questions you may have. They also provide a simplified renewal option and excellent value for cost." "This year's renewal on-line form was so easy!! Clear information about what choices were available. If I have had challenges with past renewal on-line forms, a telephone call was quickly answered and positive feedback cleared up the situation immediately." "Renewing my insurance was convenient, I appreciate the follow-up and I appreciated how easy and quick it is to renew on line, thank you. I would recommend PROLINK because they gave me peace of mind and the protection that I need for the work I do." "Excellent coverage for a good price. I've always appreciated the customer service, professional representatives that are knowledgeable, respond in a timely manner to inquiries, and who are professional and helpful...I've always had a positive and productive experience with PROLINK, but this year you made the process easier...I was pleased with coverage options and the price. Great insurance product, good price and excellent insurance reps."
Browse our professional insurance solutions tailored to the needs of Ontario's Social Workers. Important Note: For 2019, we have moved your online application to a brand new platform. Please contact PROLINK to apply or renew. Should you need access to past documents, CLICK HERE to access the old portal. Social Workers help people and families solve complex problems in their daily lives. The job is rewarding, consuming, and challenging. Unfortunately, when such sensitive issues are in question, it can be hard to control for every possible risky outcome. Despite how skilled or experienced you are, unpredictable situations can arise that could leave you liable for a lawsuit. While you look after other people’s best interests, you must also make sure that you are protected, too. We can help. At PROLINK we want you to feel free to do your job without worrying about your professional exposures. So we’ve partnered with OASW to develop a customized insurance program that addresses the specific risks faced by Social Workers in Ontario. For 2019, we have moved your online application to a new platform. CLICK HERE to request access to a link to apply or renew. 1. What does Professional Liability insurance cover? In general, Professional Liability covers you against allegations brought by a third party (i.e., a client) seeking damages resulting from a negligent or wrongful act, error, omission or arising from your profession and within your scope of practice. 2. Will the Professional Liability policy protect me if a complaint is filed against me with my Regulatory Body? The chance of having someone file a formal complaint against you is greater than the chance of being sued. There are different regulatory bodies in each province; however, this policy will provide access to lawyers who specialize in defending professionals being investigated by a regulatory body or authority due to a complaint. 3. Will the Professional Liability policy protect me if I am charged with a criminal offence? The policy will reimburse you for the legal defence costs incurred in a criminal action related to their services if the criminal charges are dropped or if you are found not guilty for the offence. 4. How will I know if someone is claiming against me? You will know if you are served with a statement of claim. However, there are other circumstances where you should also contact PROLINK because it could constitute a claim under your Professional Liability policy. A client or their lawyer makes threatening comments verbally or in writing indicating that they are seeking damages and/or may sue you. You made a mistake in how you rendered your professional services and may have caused harm to a client. 5. What do I do if I receive a statement of claim? Once you are aware of an actual or potential claim, report it to PROLINK immediately. Please refrain from making written or oral statements, and do not offer to compensate or admit liability. Taking such actions could interfere in the insurer’s ability to manage the claim. 6. Is there a common expiry date for the OASW professional insurance program? Yes, all policies under PROLINK's OASW program will expire on May 1. If you sign up mid-year, you will pay a pro-rated premium and your policy will expire with the rest of the group on May 1 at 12 AM. 7. Why is Commercial General Liability important? Unfortunately, you can be sued for any injuries or property damages that occur while working with clients—even if you’re not at fault. This situation is so common that most venues, government parties, and corporations require that you have this type of coverage in place before you engage in any contract. Additionally, if you run your business from home, you could be at risk. For example, if a delivery man slips and falls delivering a work-related package, your typical home owner’s policy may not cover it. Commercial General Liability will. Every business—including the simplest of home offices—owns stuff. And if any type of loss resulting from accidents, crime, or other circumstances were to occur, you likely wouldn’t be covered under any other type of insurance you currently carry. You may believe your small business doesn’t actually have enough value to warrant additional protection. But if for example your computer was damaged resulting in significant data loss, could you continue to run your business uninterrupted? You need a broker who will take the time to carefully audit your office contents, making sure that all of your business property, equipment, software, and furnishings are protected. At PROLINK, we will explain all of your potential exposures to help ensure that you are adequately protected, should something occur. As an added benefit, we’ve negotiated comprehensive coverage for your business property at unparalleled rates. 1. Is my home office covered under my home insurance policy? Not necessarily. You need to check your policy or request PROLINK's assistance to determine if adequate coverage is available. 2. My business doesn’t house a lot of furniture do I really need property insurance? You may not think your business has anything of value. But when was the last time you properly assessed your office contents? You may be surprised at how quickly things add up. And Property insurance offers protection for more than just traditional furniture. Computers, software, project files and resources, as well as any equipment you take on the road are also covered with this policy. Plus, you can claim business interruption costs that result from the disruption of your physical space while you work to recover from an incident. As a Social Worker, you are a steward of private information. Unfortunately, since the data you have access to is highly personal, and often health related, it is substantially more valuable than other kinds. As a result, you may be more targeted by cyber criminals than professionals in other industries. If you own or operate a business with employees, there is also the internal risk of employee snooping which is more prevalent than you would think. Further, you are subject to much stricter privacy regulations and fines—particularly since you are part of a regulatory College. So, if you or one of your employees were to lose a laptop, experience a network failure, or suffer from a hack that reveals client information—you could suddenly find yourself liable for thousands of dollars in damage. In fact, it takes on average $265 per lost record to handle a single compromised file. Clients tend to be very forgiving of a privacy breach when it is well-handled by a professional. That is, when clients are notified promptly, and a sincere apology is made. 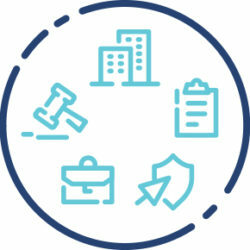 However, to accomplish these things during a breach, you’ll need a team of consultants, provisions to keep your business running and funds for any potential damages. PROLINK can help you access all of these services with our Privacy Breach Insurance. 1. Why is Cyber/Privacy Liability insurance important? Every business runs the risk of experiencing a cyber/privacy breach at least once in their lifetime. Recently, sophisticated fraudsters have proven that even the most secure organizations are at risk, too. The prevalence of cyber-attacks is only expected to increase and businesses report massive financial losses as a result of managing the fall-out. While a good defence strategy can certainly help, it’s not a question of IF your company will experience a breach but when. In Canada, privacy laws are ever-changing. And the process of navigating a breach is confusing and expensive. Damages are being awarded for not only sensitive information exposed, but for the resulting emotional injury as well. Finally, is every single one of your employees tech-savvy? Can they recognize a phish and stop scammers at the gate? The reality is that many breaches are caused by employee errors or mal-intent. And you need to be protected. Cyber/Privacy Liability insurance can help with that. 2. What does PROLINK’s Cyber/Privacy Liability offer? Our Cyber/Privacy Liability policy will provide you with funding for Public Relations services to manage the reputational impact of the breach, as well as, provisions for credit monitoring and client notification fees if sensitive client information is exposed. Additionally, you will be able to cover the legal defence fees in the case of a civil suit made against you, along with funds for court-awarded damages. You can even cover some of your business interruption costs while you get your business back online. Finally, you will have access to a breach coach who will guide you through the entire process. 3. What is a breach coach? As a Social Worker, your job often requires you to be mobile—which usually involves a car. And for a profession focused on making sure people have safe and comfortable living conditions, it’s likely that the state of your own home is high on your list of priorities. You know that you need to have Home and Auto insurance because it’s irresponsible not to. But it’s available everywhere, so all that matters is the lowest cost, right? But on any given day, someone could slam into your car during the morning commute, or your pipes could freeze causing thousands of dollars of damage. Will your policy will cover you then? At PROLINK—Canada’s Insurance Connection it’s our job to worry about which coverages you need and which risks you face so that you don’t have to. With over 30 years of experience and access to a network of insurers, we can offer you a choice of insurance solutions, price points, and other benefits. Wherever you’re coming from, and whatever you need—we’ve been there and done that. You can depend on us. Plus, as a member of the OASW, you can receive up to 20% off your Home and Auto Insurance! 1. Do you have to buy home insurance? 2. What is a disappearing deductible? 3. How are home premiums calculated? 4. When do I need to update my policy? 5. I just renovated my home, how will that impact my insurance policy? 6. What’s the benefit of having Home and Auto insured together? Bundling your Home and Auto insurance will help you save money on both policies. As an added benefit, if you need to make a claim on both your house and car, you will only need to pay one deductible. 7. Why do I need Auto insurance? Direct compensation for property damage (for damages to your vehicle from an accident which isn’t entirely your fault or where you are not at fault). 8. What other policy features are available beyond the basic Auto package? All Perils: Combines all of the above and more. 9. Are other drivers allowed to drive my car? If they are licensed and have received your permission, they are allowed. However, all licensed drivers in your home must also be listed on your policy. 10. How much auto insurance is enough? It varies by provincial requirements. 11. What does "at fault/not at fault" mean? It is a percentage of responsibility that is assigned to every driver that is involved in an accident but is calculated differently by various insurers. You could be considered not at fault (0%), partially at fault (1-99%) or at fault (100%). 12. How are auto premiums calculated? 13. When do I need to update my policy? While you should review your policy at least once a year, make sure to contact your broker if: you move, buy a new vehicle, add a new licensed driver to your policy, or begin using your vehicle for business purposes. 14. I have a classic car. Will my regular Auto policy cover me? No. You need to purchase Classic car insurance which will provide you with special coverage tailored for vintage and classic cars. 15. Why do I need to insure my child who’s away at school as a driver? Your child is only away at school part time in a secondary residence. Their primary residence is still considered to be your home. The Canadian government mandates that you insure every licensed driver who resides in your home. If you are an independent professional, you probably don’t have access to traditional employee benefits like Health, Dental, and Drug coverage. And yet, you’re still susceptible to the same health problems as anyone else. Expensive treatments, prescriptions, and high-cost dental work always seem to pop up when you’re least expecting them. And when these unpredictable events occur, they also come with a serious potential to derail your budget. But it doesn’t have to be that way. By purchasing your plan through PROLINK—Canada’s Insurance Connection, you’d be part of the pool of members not only across the OASW, but across all of the associations that we represent. That means access to lower rates. Our plans cover Health, Vision, Dental, and Drugs, and can get you access to 15 Paramedical services such as Massage, Chiropractic, Physiotherapy, and more. Plus if you or a family member needs something like an expensive prescription or high cost dental work, the plan covers you through the pool. 1. Do I have to buy BOTH Health and Dental? 2. 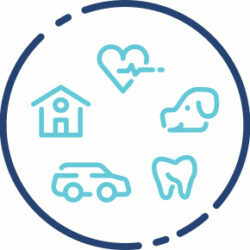 Which services are encompassed in Health and Dental insurance? 15 paramedical services such as massage, chiropractic, homeopath, etc. Vision coverage: $50 for examinations (every 24 months), $250 for hardware. 3. How does the Weekly Disability Benefit function? 4. When does Long Term Disability begin to apply and for how long will I receive benefits after becoming completely disabled? If you have a family or dependents, your Life insurance can ensure that they won’t suffer financially following your death. 2. Does my age affect my life insurance premiums? Yes. Typically, the older you are the higher the risk and by association, the premium. That’s why experts recommend purchasing a Life insurance policy when you are younger. However, other factors like gender, medical history, smoking, can also impact your premiums. 3. Are there any restrictions as to who I can name as a beneficiary? There is no restriction to who you can name as a beneficiary. That being said, if a beneficiary is a minor then a Trustee must be appointed for the duration of time until the beneficiary reaches the age of majority. 4. Is the payment my beneficiary receives tax-free? 1. Is Critical Illness insurance paid out to my family after I pass away? No. Critical Illness insurance is a living benefit and is usually paid out to you as a lump-sum following a survival period of 30 days after diagnosis of one of the listed illnesses. 2. What is a survival period and how long does it last? A survival period refers to the waiting time between receiving a diagnosis and when your benefit is paid out. For most Critical Illness policies, it is 30 days. 3. How is the lump sum determined? Typically, you need to purchase coverage for up to two years of income. However, we can offer you access to limits of up to $1 million. There is also no associated deductible. 4. Are there any restrictions as to how I can use the money from my Critical Illness Insurance? No. You can use your Critical Illness insurance for anything from medical treatment to a luxurious vacation. How you want to spend your money is completely up to you. 1. Is Travel Medical Insurance purchased per trip or on a yearly basis? 2. Can I add any additional travel protection to this policy? 3. What is covered under Lost Baggage? 4. What is covered under Trip Cancellation? 1. What's included in my pet insurance policy? Accidents, illnesses, dental exams, exam fees, alternative therapies, surgery, medication, preventative care and more are covered in your pet insurance policy. Co-insurance is the percentage you pay of the total cost of the claim. For example, if insurance covers 80% of the claim, you pay the 20% out-of-pocket. 3. I have more than one pet. Do you offer a volume discount? Yes. You’ll receive 10% off for enrolling three or more pets, and 15% off for enrolling six or more pets. 4. Are pre-existing conditions covered? No. Unfortunately, pre-existing conditions that showed symptoms before the policy was enacted or during the waiting periods are not covered.